A North East-based jewellery designer who has received commissions from all over the world is celebrating three successful years in business this January. In that time the wonderful creations of talented designer, Pete Noble, have attracted admirers from distant corners of the World. His beautiful ‘edgy’ designs have sold to customers as far away as Hawaii as well as widely across the UK. 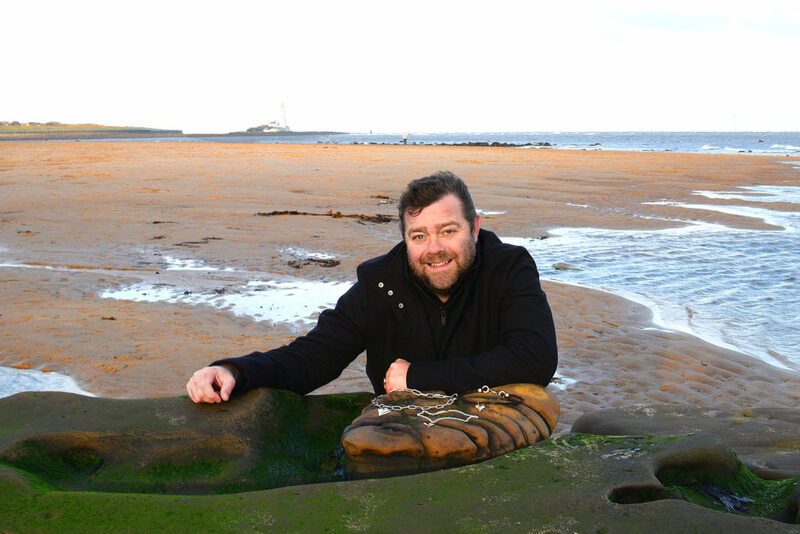 Originally from Cumbria, Pete moved to Whitley Bay in 2010. He was working as a calibration technician but started making silver jewellery in his spare time with many of his designs drawing inspiration from our region’s stunning coastline. “I’ve always been a practical, hands-on kind of person” says Pete. The first piece of jewellery Pete ever made was a necklace for his wife, shortly after their first child was born, in 2011. Still designing jewellery as a hobby, Pete’s first design was strewn with emotions and meaning. Having asked his wife to marry him inside one of the Egyptian pyramids, Pete drew inspiration from the Egyptian culture for his first creation. 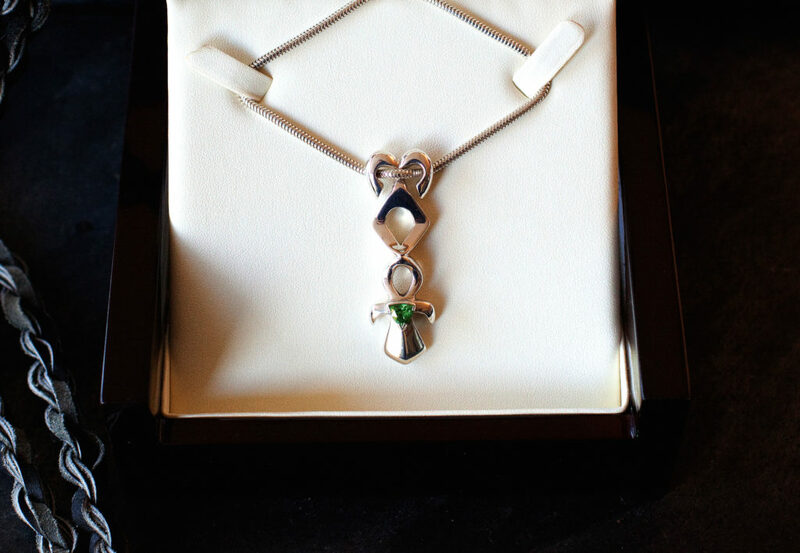 “The pendant was made up of Egyptian and Roman symbols and the necklace was set with a triangular Tsavorite Garnet, the birthstone of my wife and daughter. The shape is significant because the triangle is the symbol of femininity. Finally, the whole design is symbolic of the three of us holding on to each other,” Pete reflects. Pete Noble’s first creation, a necklace inspired by Egyptian culture. 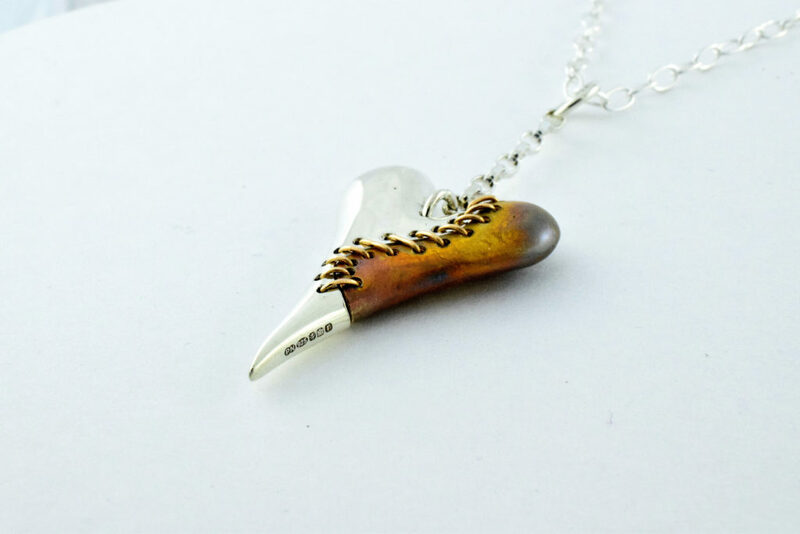 The success of this first piece spurred Pete on to design more jewellery with a story and, when he was made redundant during Christmas 2015, he decided to invest all of his time and energy into building Edgy Metal into a full-time business. “The redundancy provided me with the opportunity to explore a number of designs I’d been thinking about for a while. The Unbroken Heart was a pendant that I’d wanted to produce for a few months, so I set about designing a prototype of that and launched Edgy Metal on New Year’s Day, 2016. Since that time, I haven’t looked back and have more than doubled my catalogue of products from around 21 to 57. The Unbroken Heart. Jewellery designed by Pete Noble. During the three years that Pete has been designing and making jewellery full-time, he’s received commissions from all over the world, including Canada, Hawaii and Japan. “All of my jewellery can be posted so I’m lucky that I’m not restricted to selling to the local area – in fact, I sell more jewellery throughout the rest of the UK and abroad than I do in my own area,” said Pete.